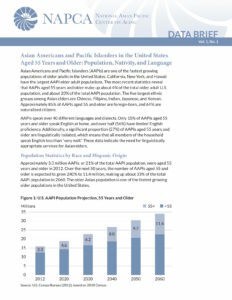 Southeast Asian American elders have some of the highest rates of limited English proficiency of any ethnic group, and are more likely to live in poverty. 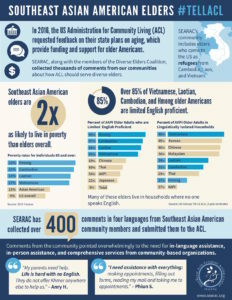 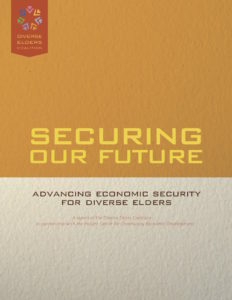 SEARAC supports community-based organizations across the country who serve and support our elders. 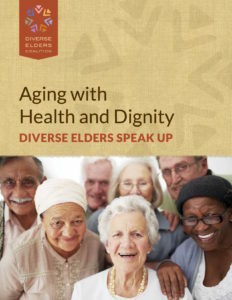 We also collaborate with the Diverse Elders Coalition to uplift the needs of diverse elders of color, native elders, and LGBTQ+ elders.